Learn about the latest exhibitions with our experts. Enjoy a drink with colleagues and pick up free teachers’ resources at one of our special preview events for primary and secondary teachers. 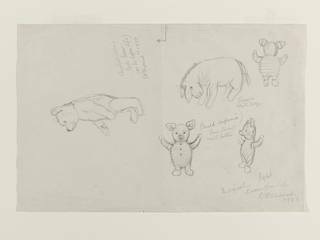 Join us for a glass of wine and find out about our upcoming exhibition Winnie-the-Pooh: Exploring a Classic with the exhibition curator. This is a special event for primary and secondary teachers. Please provide your school name and address when booking. Maximum of 5 tickets per school.